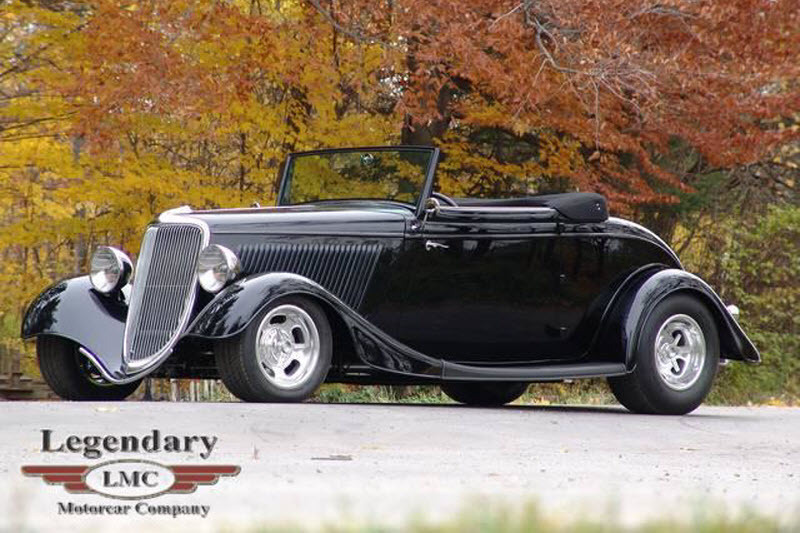 Click any thumbnail below to display the 1934 Ford Cabriolet slide show. 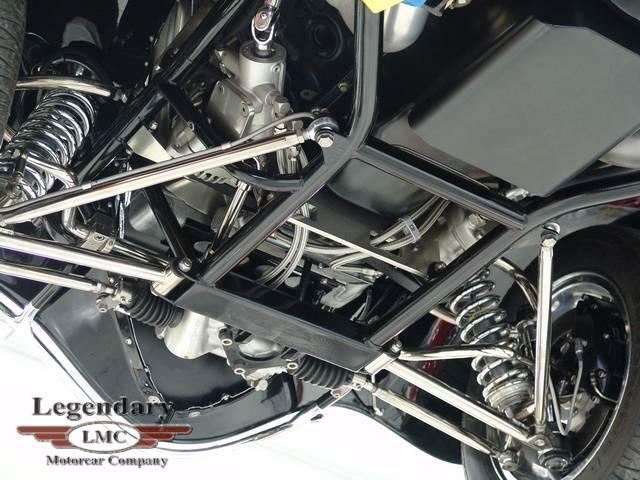 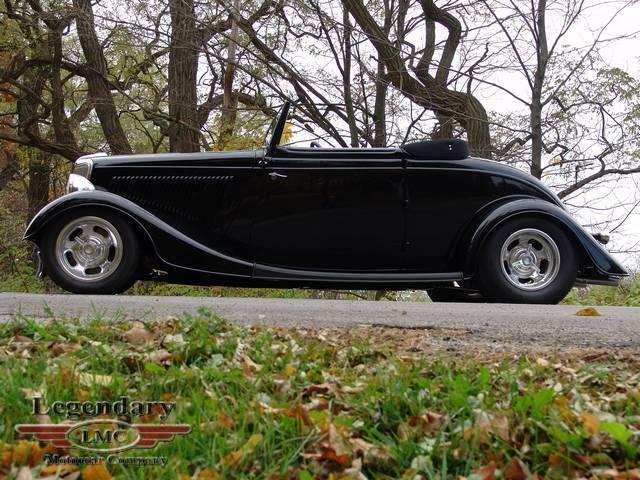 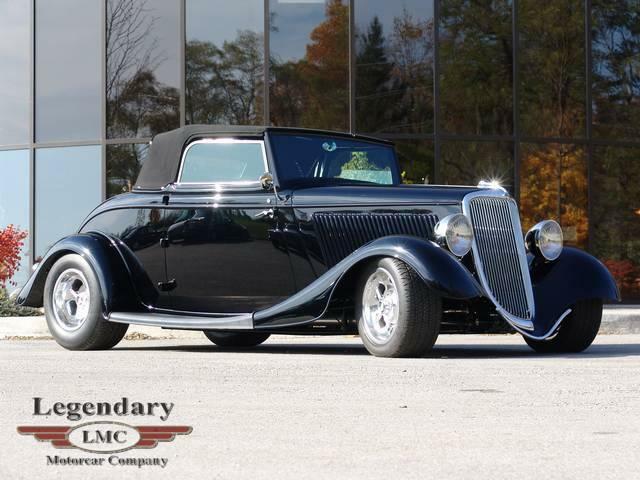 Legendary Motorcar Company worked closely with the commissioner of this amazing project, to create a 1934 Ford that retain the classic stylish lines combined with handling like one of today's exotic sports cars. 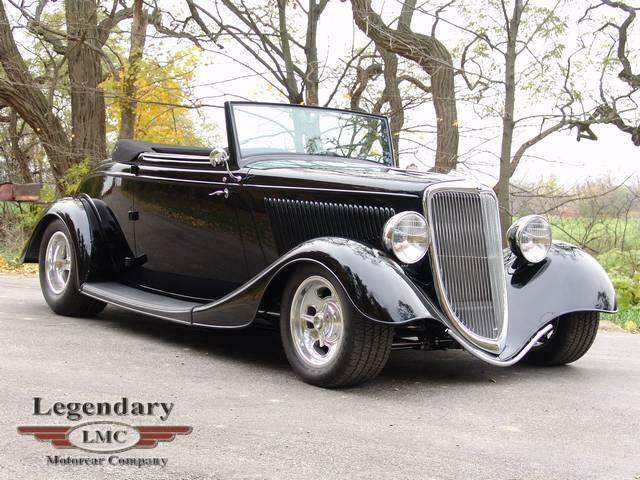 The plan was to build an all steel bodied 1934 Ford Cabriolet that would appear basically factory with only subtle cosmetic changes. 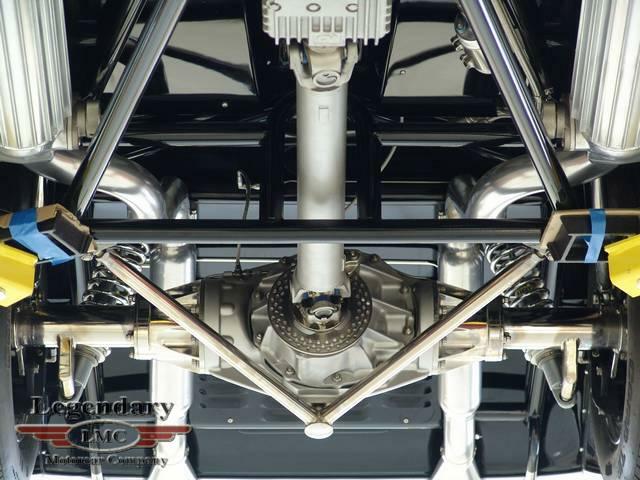 Underneath the pristine body would be a completely custom designed double tub chassis and a 500 plus horsepower modified crate engine. 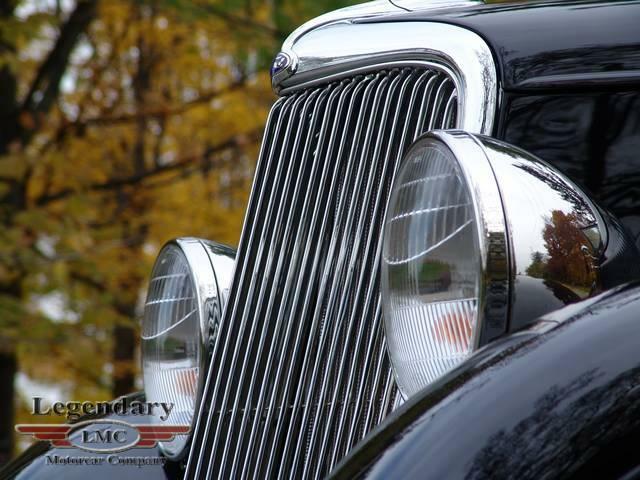 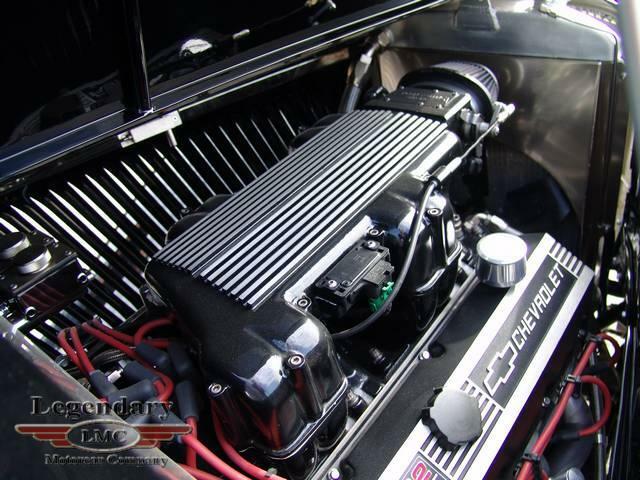 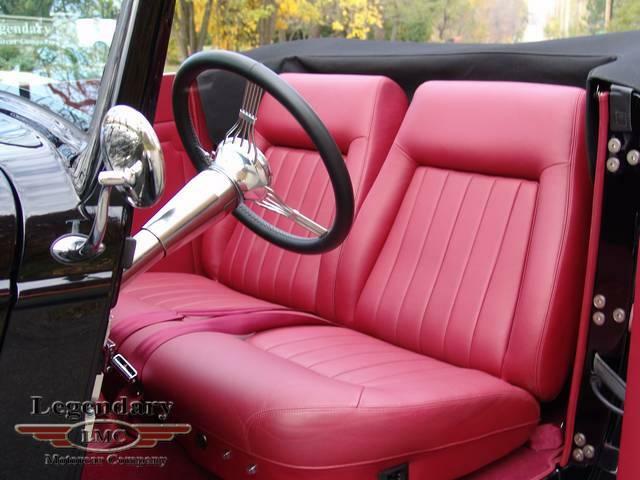 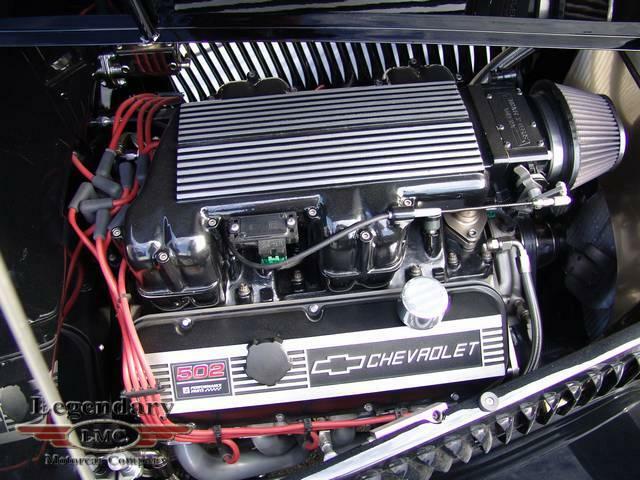 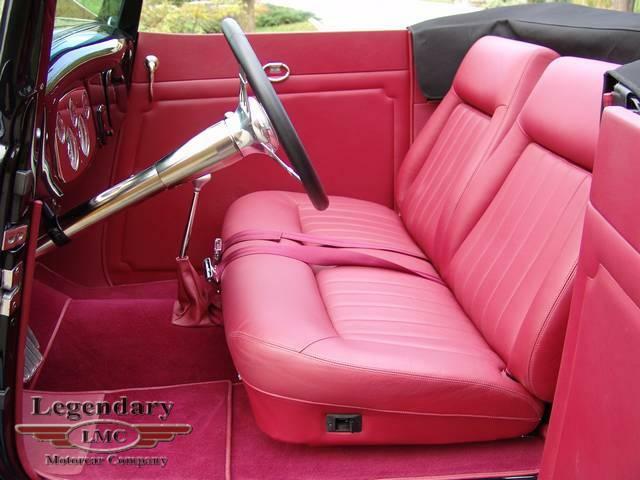 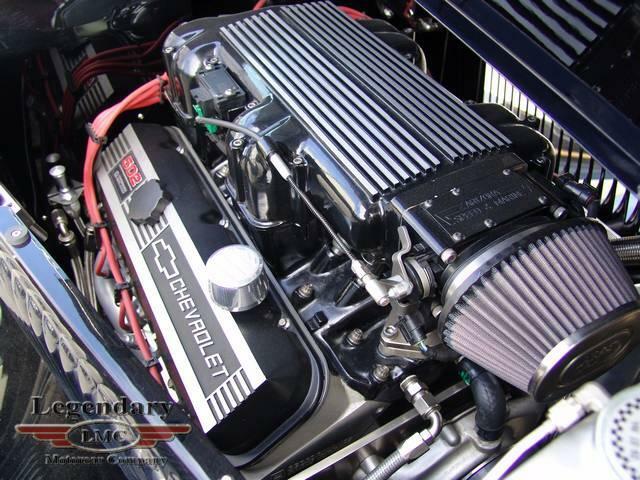 The craftsmen at the Legendary Motorcar Company custom fabricated all aspects of the Ford's. 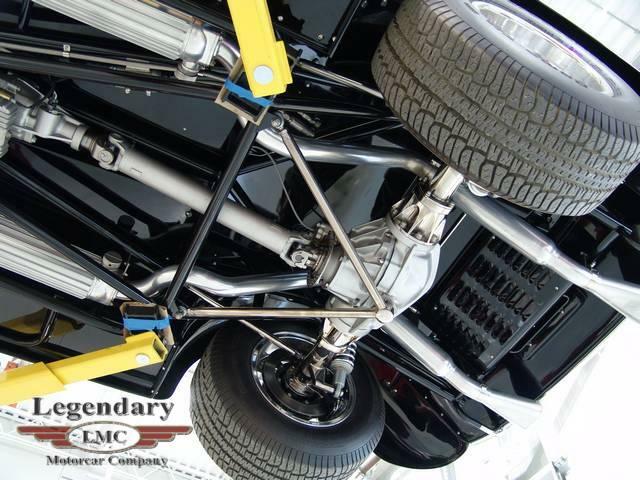 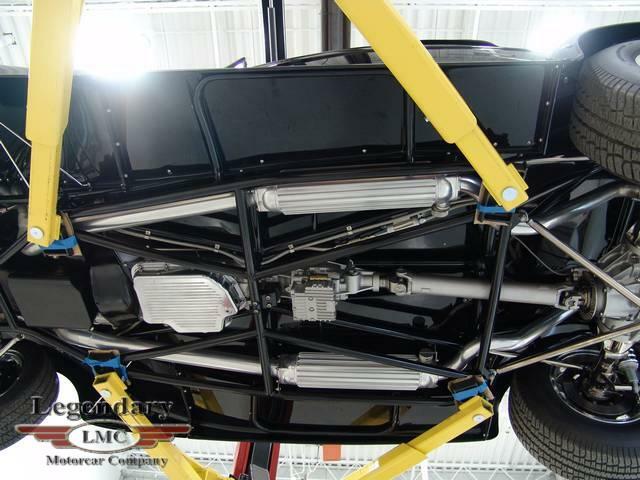 For example, the suspension, everything from the front spindles to the unique trialing arms that also act as a panhard bar. 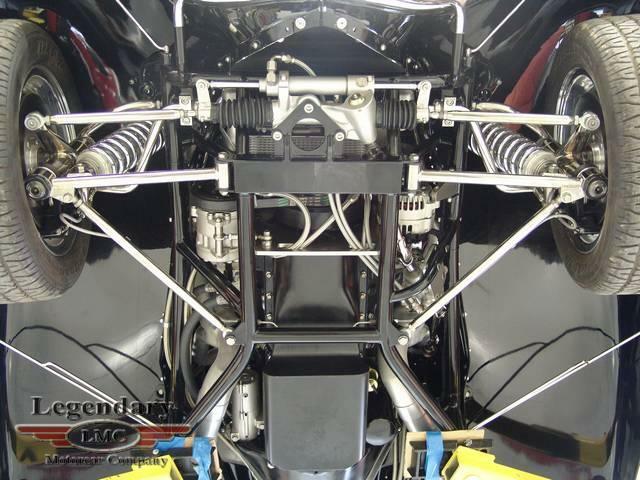 The interior positioning of all driver controls (steering wheel, pedals, shift, etc.) 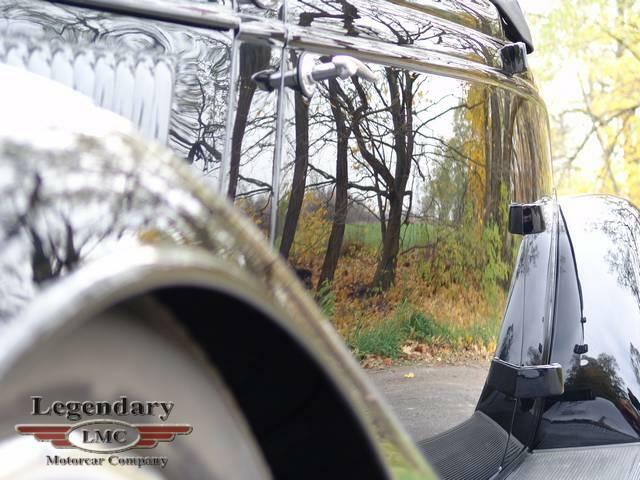 were designed for the comfort the own, while retaining the traditional classic appearance. 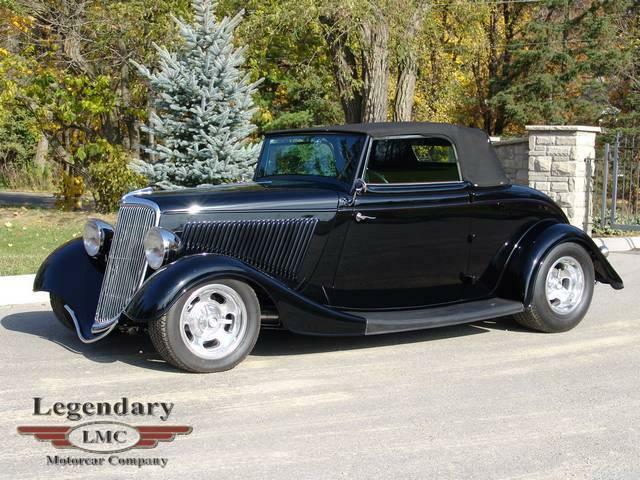 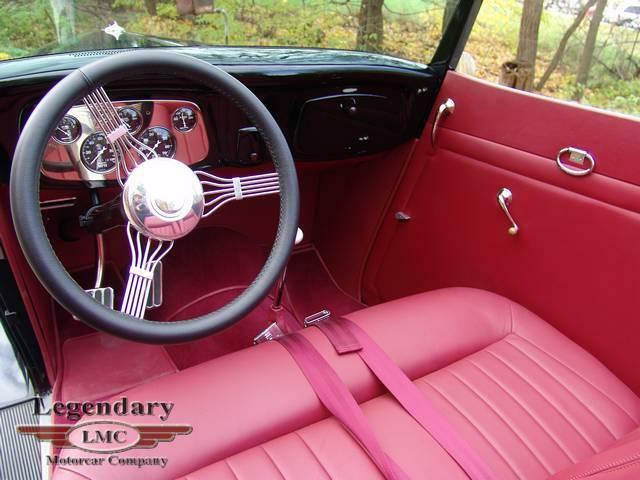 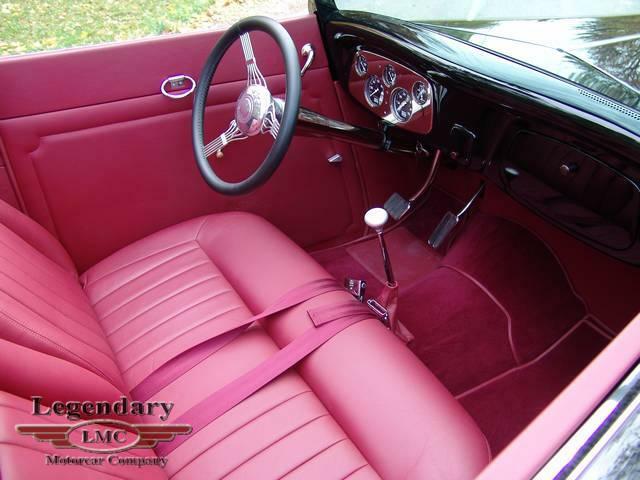 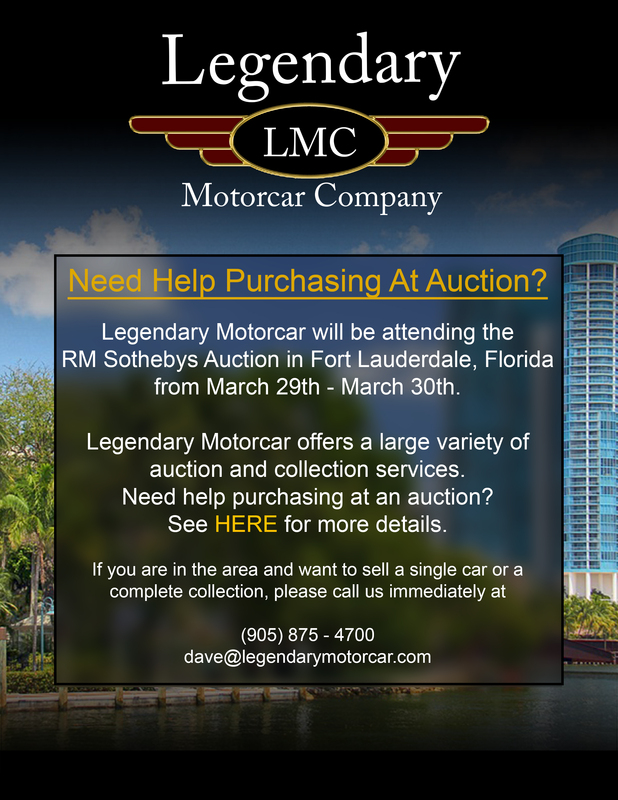 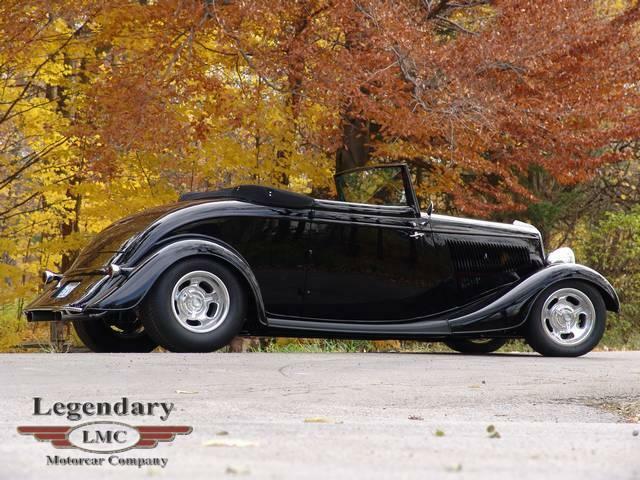 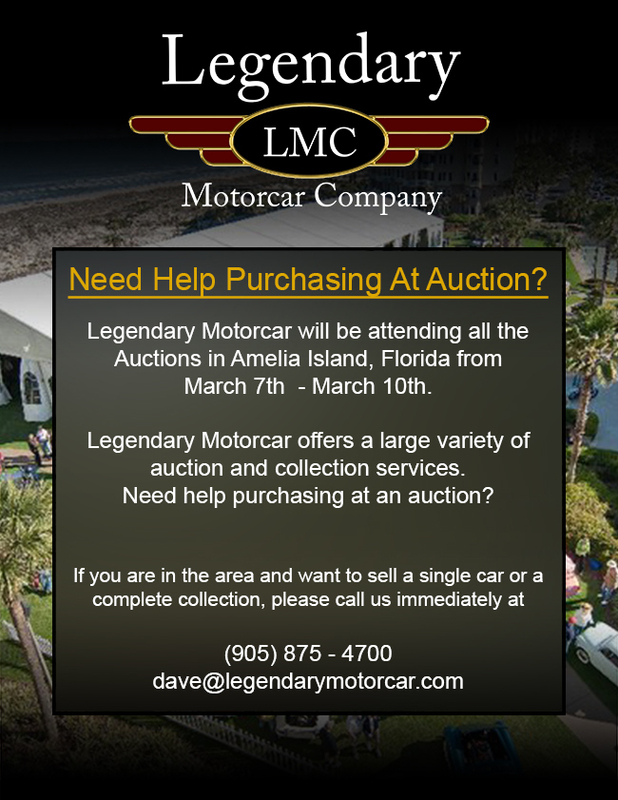 Legendary-Motorcar-Company-Ltd-2012-120 Ford 1934 Ford Cabriolet 2012-120 0 Legendary Motorcar Company Ltd.